Nuez says the claims are false because the products actually contain a chemical called glyphosate, a powerful herbicide that the suit alleges to be a probable carcinogen, human endocrine disrupter, and danger to consumers. 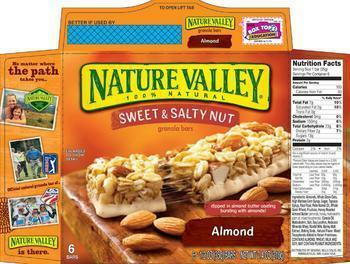 “Across all Nature Valley products, General Mills conceals the presence of glyphosate, fails to disclose of the presence of glyphosate, and fails to disclose to consumers about the harmful effects of ingesting glyphosate,” the suit charges. This isn’t the first lawsuit that General Mills has faced over glyphosate. In August, three non-profit organizations sued the company on similar grounds of deceptive labeling, marketing, and sale. The Organic Consumers Association, Moms Across America, and Beyond Pesticides filed a joint suit saying that General Mills was in violation of the District of Columbia Consumer Protection Procedures Act. The suit alleged that an outside laboratory had found .45 parts per million (ppm) of glyphosate in Nature Valley products. While the reading may seem infinitesimal to some, the groups point out that a product that claims to be “natural” should not contain any foreign substances. “As a mother, when I read ‘100% natural,’ I would expect that to mean no synthetic or toxic chemicals at all,” said Zen Honeycutt, executive director and founder of Moms Across America. In response, General Mills has stood strong against its critics and the integrity of its products. “We stand behind our products and the accuracy of our labels,” said Mike Siemienas, manager of brand media relations, of the suit.